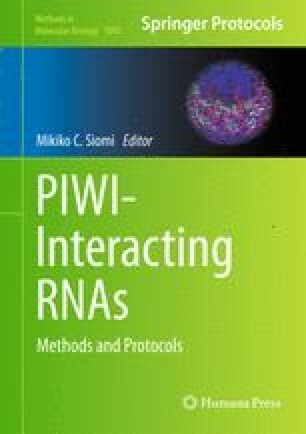 Piwi proteins and piRNAs are abundant in the gonads of various animal species. Gonads from different developmental stages provide us information regarding the function of piRNAs and the PIWI pathway during germline development. Here we describe methods for gonad and germ cell preparation from different developmental stages of zebrafish. We also describe how to use these gonads to purify and characterize piRNAs. We thank Stefan Redl for help in making figures. This work was supported by VIDI (864.05.010), ECHO (700.57.006), and VICI (724.011.001) grants from the Netherlands Organization for Scientific Research.